One of the most beautiful ways to scatter at sea is with a Memorial Flower Basket. The Memorial Flower Baskets are weighted biodegradable baskets with flowers on the basket handle. The cremated remains are placed inside of the basket, covered with flower pedals and a dozen roses placed on top. the basket sinks to the bottom as the cremains disperse as the basket decends. The flower pedals float to the surface as the Captain circles the vessel around the cremains and the flower pedals. The roses are placed in the water as the vessel circles. Each Memorial Flower Basket is unique and different. 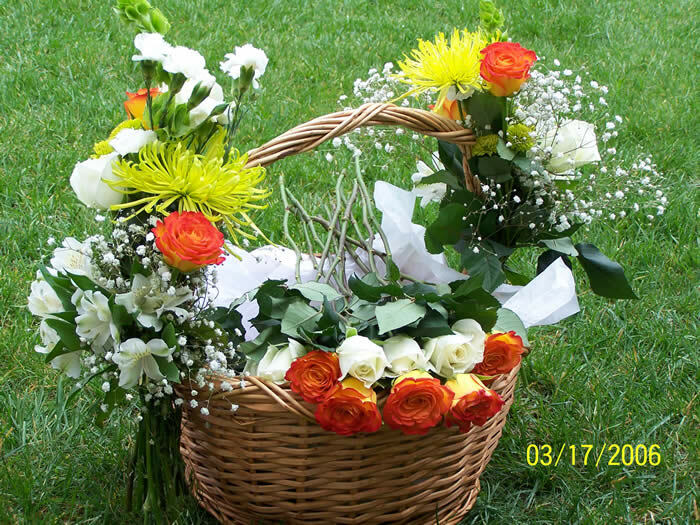 Memorial Baskets should be ordered at least 5 days in advance of your memorial service.